The others had turbos; this car didn’t need one. 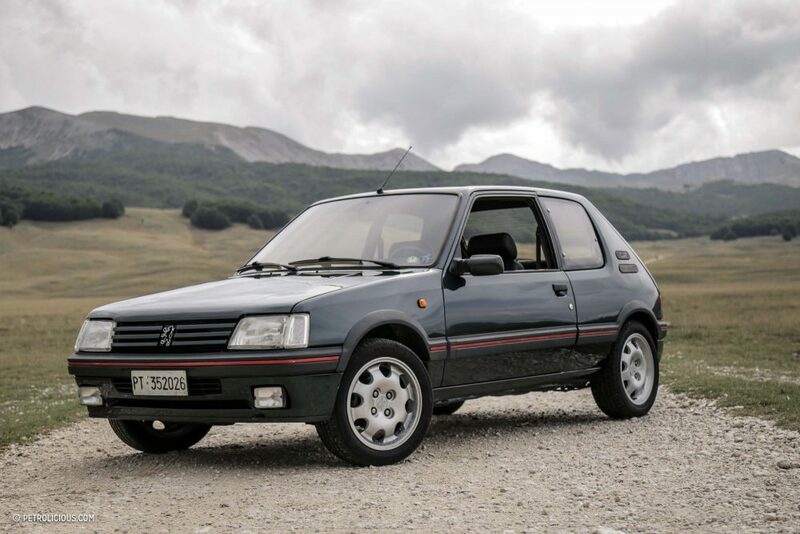 In those years, Europe produced some of the best hot hatches ever, such as Renault 5 GT Turbo and Fiat Uno Turbo I.E., and they were absolutely dangerous. A lot of power in a normal city car chassis used to mean younger drivers were always risking their lives. In Italy those cars are called, still, “the Coffins”. 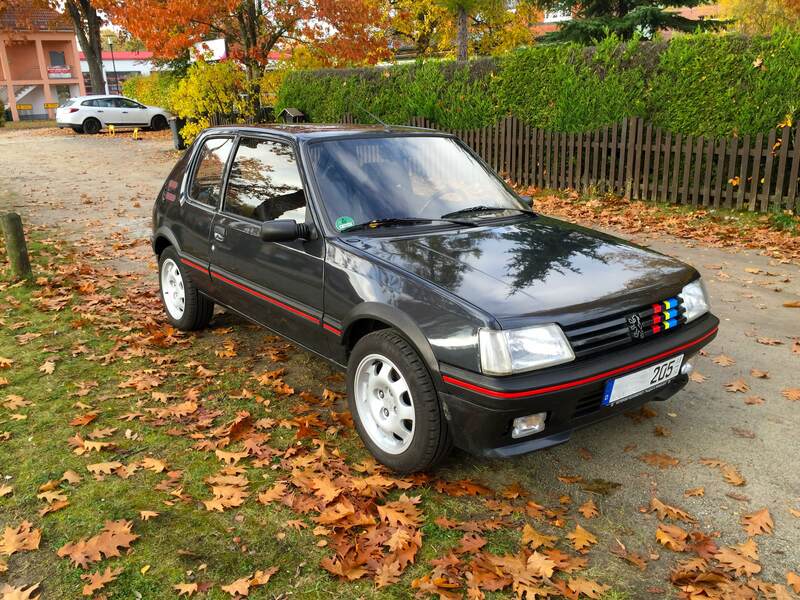 Let’s talk about the only coffin with no turbocharger, the Peugeot 205 GTi 1.9. Why this nickname? Why was it so dangerous? 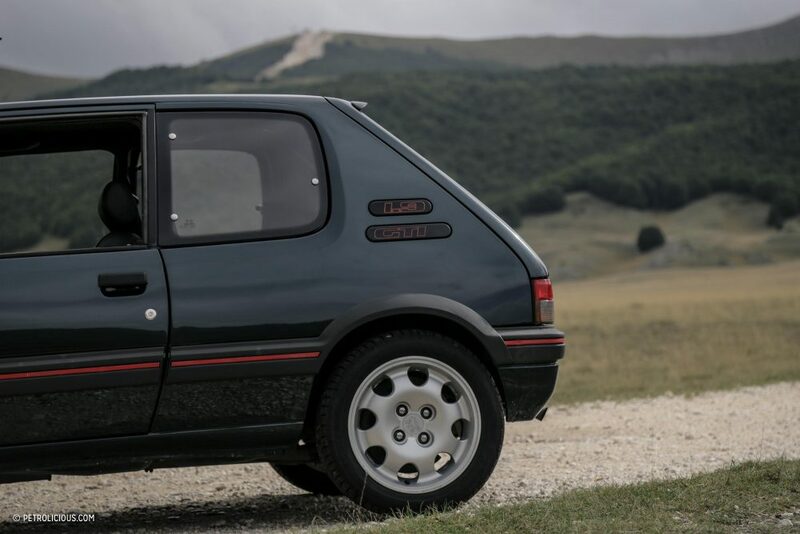 And above all, how could a normally aspirated 130-horsepower hatchback from France try to off you? For those who don’t know ’80s sports cars, this could seem a normal put-around-the-countryside machine for grandpas. For us, no. 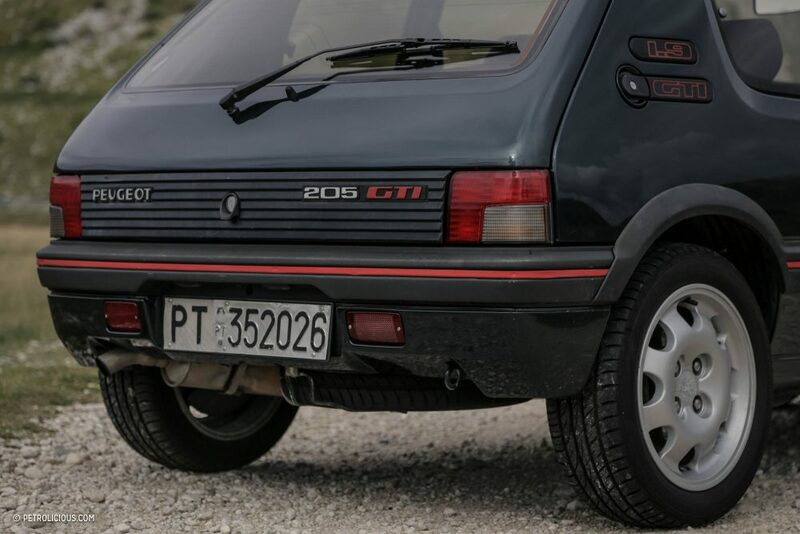 Those wheels, the “1.9 GTi” text as only big details, plus that engine note. The car seems perfectly predictable on a first exam. Sincere from its front wheels, a stunningly perfect gearbox and pedal layout, and a linear torque from the lower revs to the red zone. So you push, you push it hard from the first minute, feeling so confident in its ways. That’s the same mistake a lot of young drivers did in the ’80s, ending their early experiences, shall we say, off-road. The rear end of this little car tries in every way to overtake you when in the middle of the faster curves you lift your right foot. This attitude forces you to keep pushing in every condition, just like Jean Ragnotti, and then it’s dangerously exciting. That’s the only defect, more or less, because actually that risk is very fun to deal with. 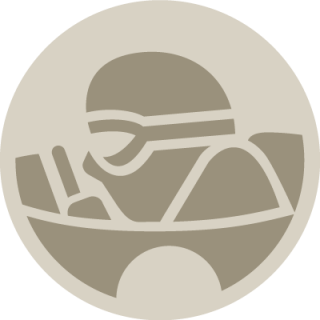 Racing or prepared GTis are way more efficient at speed, obviously. The power steering was an optional, I’m driving one without it, and precision is millimetric. My wrists cried all the time, but that’s the price to pay for an intense driving experience like this. 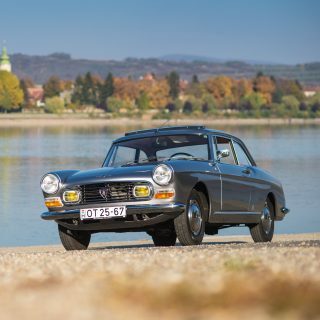 Engine: superb torque and reliability at every rev, perfectly-calibrated to its chassis and, even if I’d love some more horsepower, this 130 can be enough to have real fun. 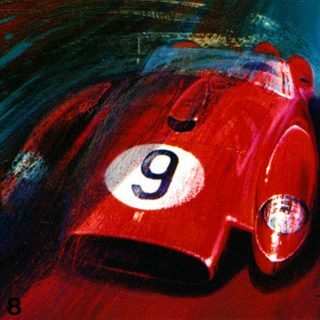 Not having the turbo kick to deal with means that I can taste every phase of the acceleration, which isn’t slow at all. It is very light, you can see opening the doors and discovering how skinny the French frame is, like a tiny twig in autumn. I feel the chassis stitched on me as a second body, a skeleton with a few muscles that are surprisingly tough. I really love its green paint, too. I always did. Matched, here also with leather interior trim, red stripes outside, and green stripes inside. Visibility from the huge windscreen is excellent—and so it the bossy sound from the engine when things are raging. 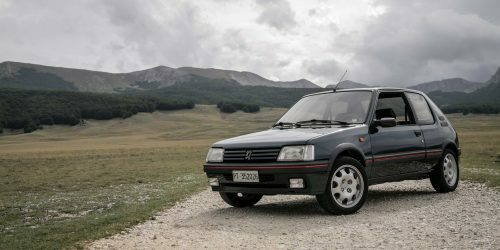 The speed I could reach with this 205—after almost 30 years since being built— is quite similar modern hot hatches on modern roads, and this makes me think: the Peugeot is not an exotic, it’s not about design or vintage lines, it is a bunch of bones and muscles, if you will, with zero electronics and a noisy engine. But you can feel the difference between good driving or bad driving with this. Nowadays, it’s a bit harder to have this kind of fun without huge power. 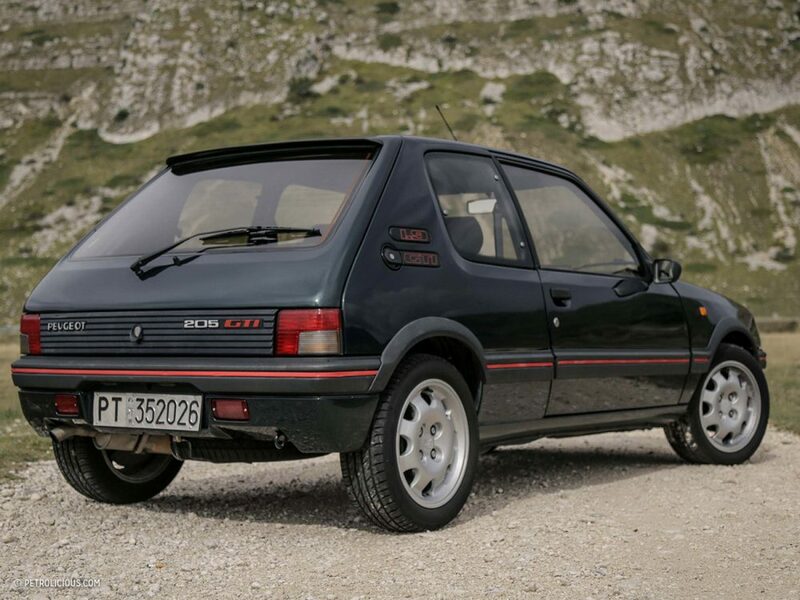 The 205 GTi was different from the Renault 5 or from the Fiat Uno, with an almost opposite attitude on the road. So if you chose one of them, you chose the driving style you would learn. 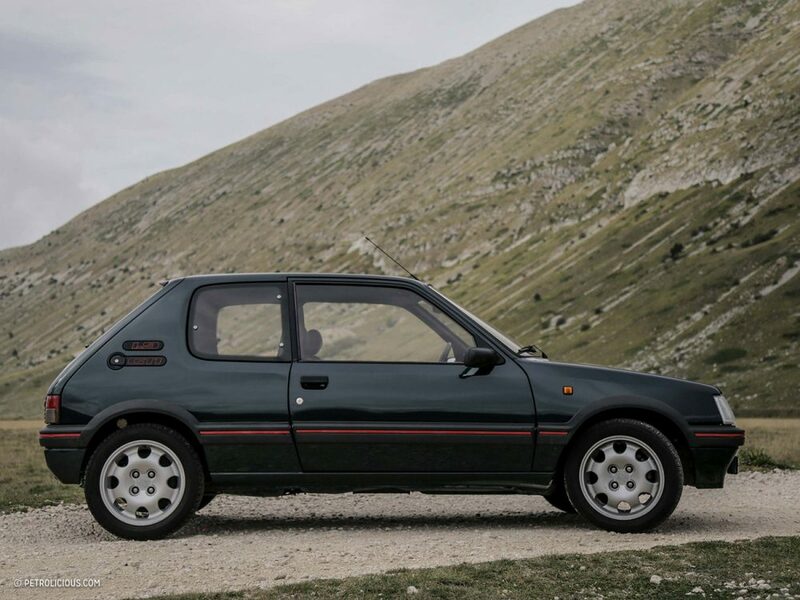 One had the dancing back, one used to pull you out the way when the turbo kicked in: the Italian was meant to be driven as a chariot with overexcited horses. 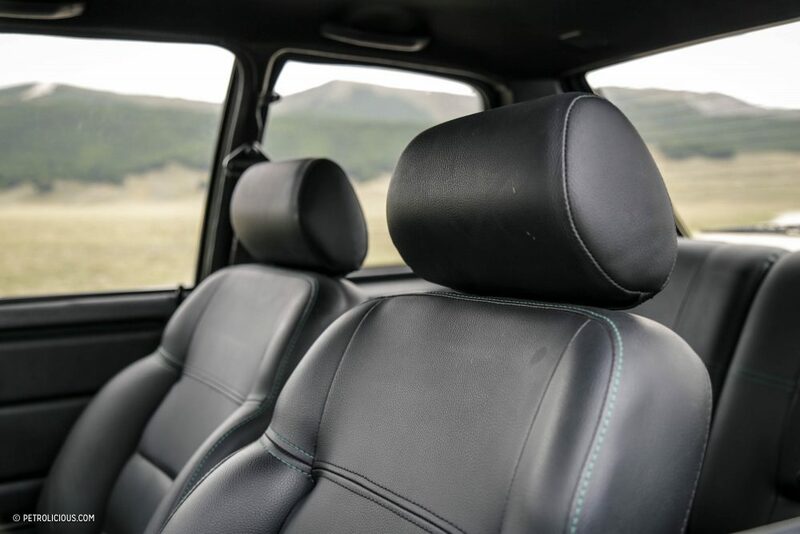 Maybe that’s what makes these cars so good: we have the opportunity to choose cars’ characters, not just which Bluetooth setup or USB connection will pair with our devices. Agreed on everyting except the 1.9 engine. The 1.6 is so much better! More revy and combined with the shorter box and less weight, no real difference in speed. What a car, everytime I drive it! 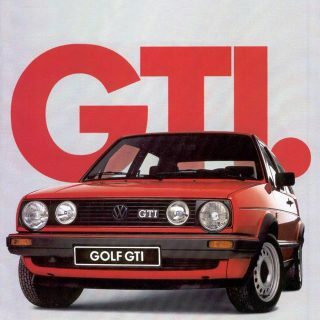 1991 GTI 1.9 Anthrazit , without power steering, without ABS, without Sunroof.. I have a 1.9 sitting in the garage. Nothing (except probably an E30 M3) provides the same buzz. It is perfect in every way, from the moment you take a seat, turn the key and it burbles to life. The combination of 130bhp and less than 900kgs is a recipe long forgotten by todays manufacturers. Hopefully, the ‘engineers’ of today’s makers will reacquaint themselves with this recipe and work out that we don’t need massive horsepower to have more fun. You just don’t want to have a big shunt in one though…. This article was a long time coming – thank you! 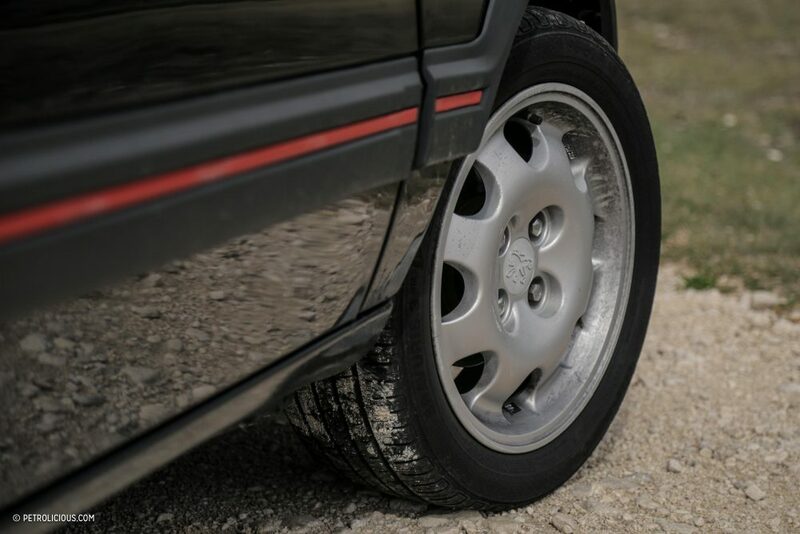 Although it seems all your French car videos are by Davide…. Are you trying to make this grown man cry?? My 1993 1.9 Gti remains as my 1st love and the most engaging I’ve driven. It’s lightness and steering feel were glorious. 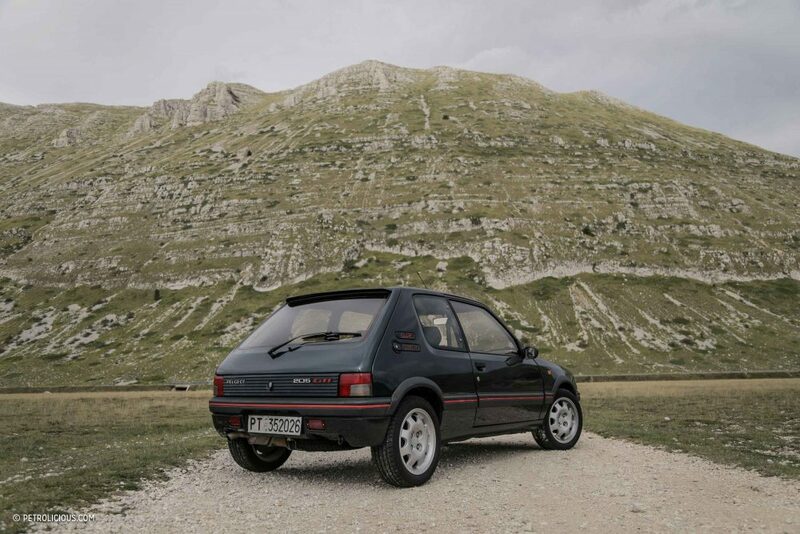 Over all those years, I still cannot think of a hot hatch that is more engaging to drive than 205 GTi. Yes it does try to kill you if you don’t know what you are doing with it, but if you understand what it is and what it does, it is one of the most exciting handling cars still. I used to drive both 1.6 and 1.9. 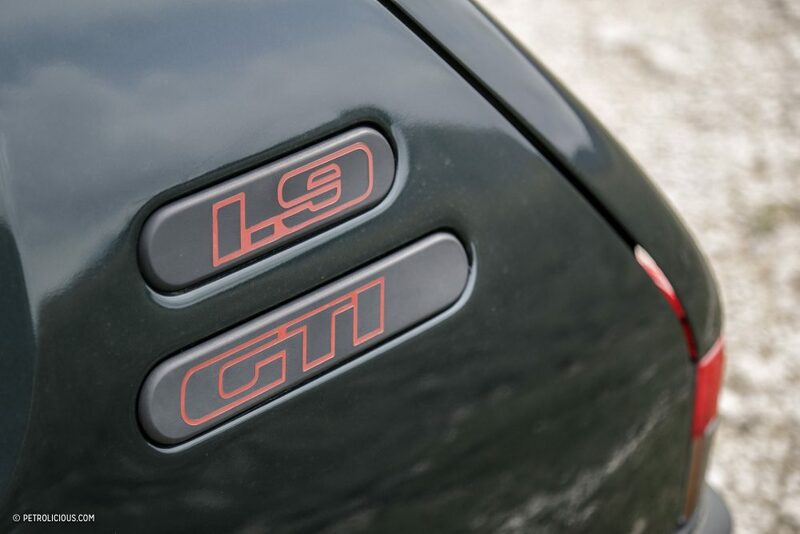 I preferred 1.6 more – less power but buzzier and more eager. 1.9 is silky though. I didn’t the customary embedded link to the live-action review; here it is: https://www.youtube.com/watch?v=NoX32kUhezU. 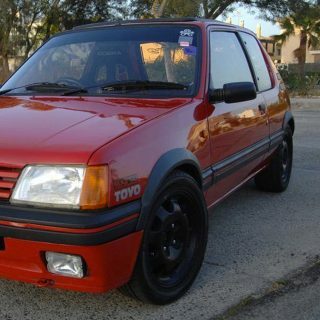 I own a red 205 gti . 1990 on an H plate. 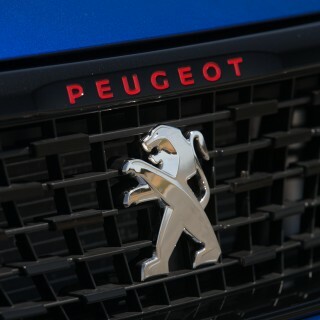 The only difference is it’s been fitted with the turbo charged engine from the Peugeot 406 Sri. I love it , but everytime i take it out , i feel as though it’s wanting to kill me.